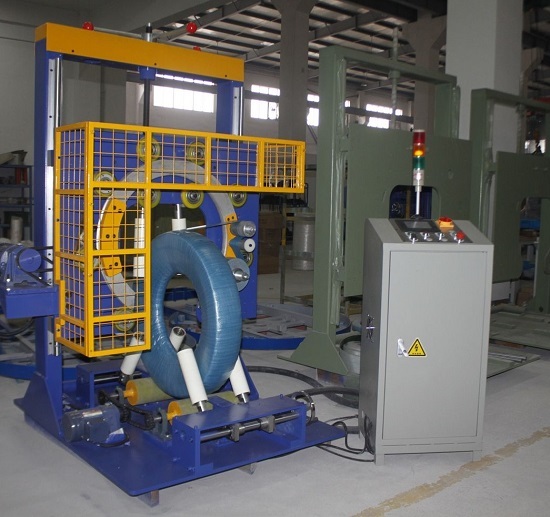 The automatic hose winer for coil making ans strapping. 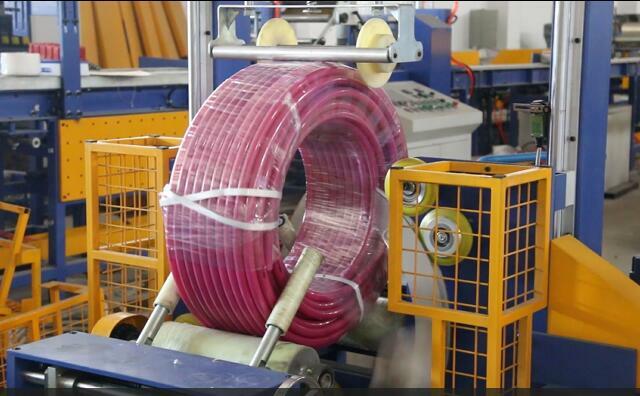 Actually, for the Automatic corraguated hose winder solution, what infomation required is following: 1. 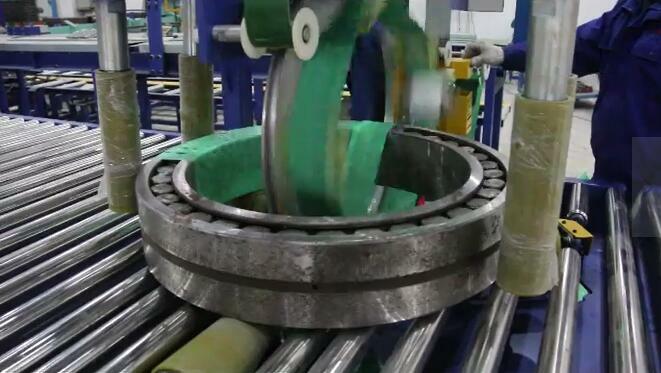 How opeartor handlinng the coil: by crane or by forkman? 2. 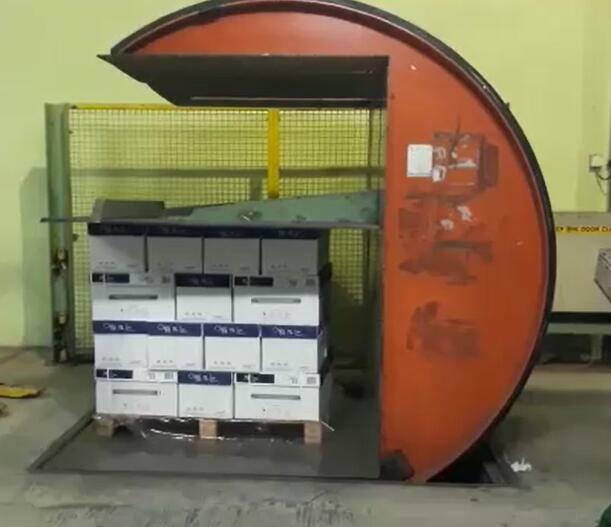 How to loading the coil to the wrapping machine? 3. 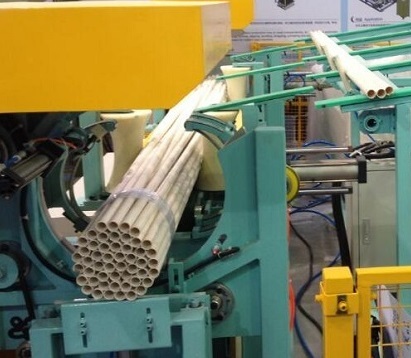 How to pack the coil and unlaoding? 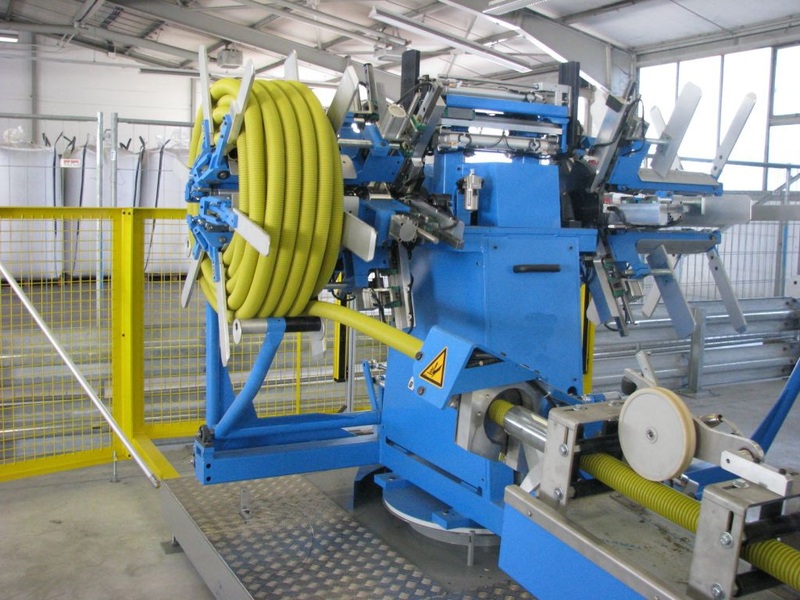 More information of the automatic coiler:https://www.fhopepack.com/Automatic-Coiling-Machine/index.html This is a CD pipe, RUBBER HOSE coiling and winding machine includes the strapping station for onlie packing the coil.